I scream, you scream, we all scream for ice cream! Everyone loves ice cream, but why? Here’s the nine reasons why everyone loves a scoop of their favorite, frozen treat. Don’t like chocolate? Not a fan of vanilla? Maybe you’re not that into fruit-flavored ice cream? Maybe you only eat mochi ice cream? No matter what you like, there’s an ice cream flavor out there for you. From sherbet to bacon and everything in between, anything you could possibly want in your ice cream, you can have. There’s no right or wrong flavor out there. Ice cream is the perfect treat for any season. In the summer, you can cool off from a delicious scoop of your favorite flavor of ice cream and in the winter, you can bring out the best in the cold weather by enjoying your favorite slice of hot pie accompanied by your favorite flavor of ice cream. When you’re sad, a big bowl of ice cream will be there to cheer you up. The silk-smooth bowl of ice cream is scientifically proven to help make breakups, heartaches, and other major causes of sadness easier to get through. Ice cream can be served many different ways. In a cup, in a cone, in a double cone—the possibilities are endless. You can take your favorite frozen treat with you wherever you go when it’s wrapped nicely in a cone. Keep one hand free and hold tight to your double scoop of goodness in the other. For those of us that are major ice cream lovers, but can’t quite eat the whole carton in one sitting, ice cream wins again. Rather than throwing away the remaining amount of dessert, you can simply throw it in the freezer. Ice cream can last weeks and even months in the freezer and can be enjoyed time and time again. Using a food processor or even just a bag of ice and salt, you can make your own delicious mix of ice cream. This allows you to create any flavor under the sun. From the most exotic fruits to cookies and cream and everything in between, you have full creative freedom to make whatever you want. Ice cream is not only great by itself, but also with a wide variety of treats. Slap a scoop of vanilla bean on your favorite flavor of cake, try mint ice cream with a rich brownie, make that stuffed crepe even better with a scoop of chocolate ice cream—the possibilities are truly endless. When you’ve come down with a bug, the last thing on your mind is leaving the house. Bring the comfort of ice cold ice cream to your home and soothe your aching throat. Just a single spoonful will help ache your sore throat and keep you content. We love the holiday season just as much as the next person, but we also understand there can be a lot on your plate. Shopping for friends, family, and even co-workers can be stressful, especially when you have a long list of people to get gifts for. You want to get them something that’s memorable but won’t break the bank, and you don’t want to spend a long time mulling over options. When you’re ready to stop stressing over that gift list, you’re ready to get Mochi Ice Cream! 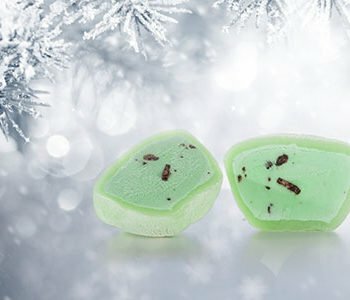 Whether you need to get something for your office secret santa, that special someone in your life, or even for a holiday party, there are plenty of great reasons why Mochi should move to the top of your shopping list. Whether you live somewhere with year round warm weather, or you’re trying to survive a cold winter, you’ll always appreciate the refreshing taste of Mochi. It’s such a unique treat, mostly due to how it’s made. Mochi is made up of two distinct (and delicious) parts. First you have a shell of sweet rice flour dough, which is covered in cornstarch. It has a very soft, chewy texture which pretty much melts in your mouth. At the core of the shell you can have any number of gourmet ice cream flavors, ranging from red bean mochi to classic chocolate. The combination of the sweet, soft dough and assorted ice cream flavors makes for the perfect, low calorie ice cream snack. Everybody loves easy to eat and tasty finger foods. When you get Mochi for an office holiday party, or just as a fun treat for your own family, there are enough in each box to share with everyone. Besides being delicious, Mochi is so unique that it will be a great conversation starter no matter where you are. Try to get an assortment of mochi flavors, like strawberry Mochi, or even black sesame Mochi, so that people will want to keep coming back to try something new. Use Mochi to help make memories that will last a lifetime. When you do decide to get Mochi as a gift for someone, they’ll really appreciate the surprising health benefits. Don’t get us wrong, we know it’s not a ‘health food’ by any means, but there are a good amount of nutrients in every bite! On top of that, since Mochi is a smaller dessert than most other ice creams, cookies, or any of your other favorite treats, you can enjoy a few Mochi in each sitting without going overboard. There are plenty of reasons why you should eat more Mochi, including the fact that it can make you smile! This on the go snack will change the way you enjoy ice cream. Merry Mochi and a Happy New Year! No matter what you’re celebrating towards the end of the year, always count Mochi in for a great time. Whether you’re getting it as a gift, or spicing up a holiday party, make sure to mix and match Mochi flavors and give everyone something to be thankful for. For those of you that know and love Mochi Ice Cream, you’re welcome. 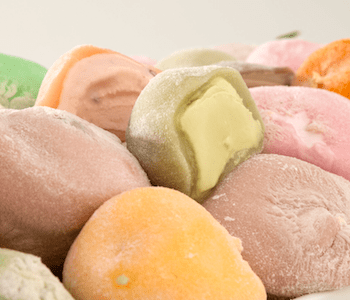 For those of you who haven’t tried Mochi Ice Cream, put it on your list of to-dos. You’ll thank us later. Mochi comes in convenient serving sizes and many scrumptious flavors! 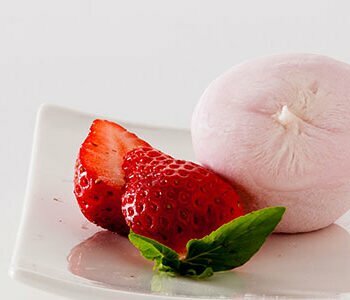 Keep reading to find out four reasons why you should always keep a box of Mochi Ice Cream in your freezer. You’ve had brownies, you’ve had cake—but you’re looking for something lighter and different. Let’s face it, you need Mochi Ice Cream in your life. The unique flavors and texture of Mochi are exciting and delicious. Premium ice cream encased in our fresh, pastry-like Mochi dough—you really can’t go wrong with whatever flavor you choose. They’re all scrump-dilly-icious! 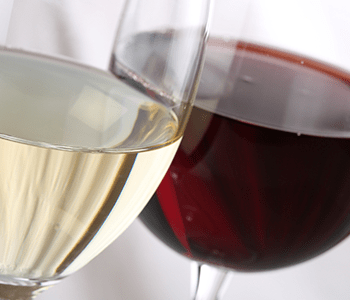 Hosting a dinner party? Impress your guests with something more exciting than an apple pie. Cut your favorite Mochi Ice Cream in half and serve Mochi tapas! You can even step up your presentation game and add a doily and some extra powdered sugar or chocolate sauce! 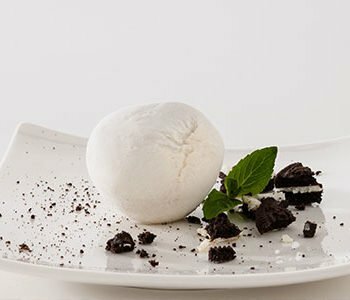 Believe us, you haven’t experienced the true deliciousness of dessert until you’ve tried the unique and flavorful Mochi Ice Cream. Ever seen someone eat ice cream and note smile? Nope, we didn’t think so. Ice cream is scientifically proven to lift your spirits and make you happier! Research suggests that a little cold ice cream treat taps into the same pleasure center in the brain as listening to your favorite song on the radio or winning the lottery! Take a bite of Mochi Ice Cream, we promise you’ll smile. 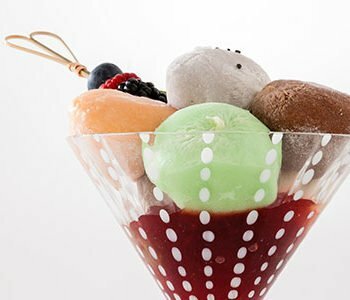 Mochi Ice Cream goes beyond the typical ice-cream-in-a-bowl occasions. Since no bowl or spoon is required, Mochi Ice Cream is the perfect snack for anytime of the day. Whether you’re in a rush to get out the door or you’re hanging with friends, Mochi is perfect for any occasion. Pick up a box of Mochi Ice Cream and you will be glad you did. They make the perfect mid-morning snack, afternoon pick-me-up or late night bite. There’s no denying that Mochi Ice Cream isn’t exactly a health food. But believe it or not—ice cream actually provides your body with a number of substantial nutrients. A little Mochi Ice Cream a day keeps the doctor away! The delicious and sweet treat provides your body with a handful of beneficial nutrients including bone-strengthening calcium, blood-pressure-lowering potassium, and energizing B vitamins. Ice cream also supplies your body with a decent amount of protein which is essential for building muscle, and preventing weight gain! If you’re craving a sweet treat, go with Mochi Ice Cream! It’s better for you than most desserts. Food is one of life’s greatest joys and everybody deserves something sweet in their life. If you’re tired of those more traditional desserts like brownies and cake, it’s time to make a change. 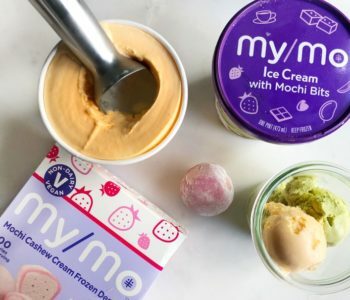 Start keeping Mochi Ice Cream in your freezer—your taste buds will thank you!